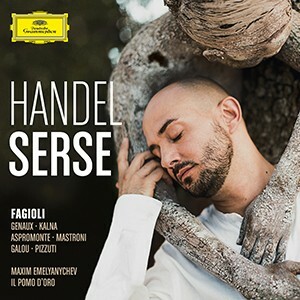 Franco Fagioli Stars first recording world from the Opera "Serse" of trade with a counter in he main role from Serse, cantado por originally a castrato soprano. Countertenor leads a stellar cast accompanied by he set historicista The bone d’oro Y the beaten from Maxim Emelyanychev. “Franco beans It was perfect as the unpredictable tyrant ... Truly he confirmed his status as he countertenor star from his generation. its palette from vocal colors It was only, his coloratura, perfect, Y his musicality Y sense of the style baroque amazing. […] The rest of the cast lived up, all baroque specialists with a clear and bright coloratura. […] The orquesta fue Il pomo d'oro, created a set period in 2012, which it has become one of the most interesting current music scene. They confirmed their position with a precise performance, reflective, nuanced dynamics and perfect style. Maxim Emelyanychev directed from the key with energy and momentum; youth, evident in his youthful appearance, He contrasted with his unquestionable experience and expertise.